This part of the sky, situated in the constellation of Orion, about 7° northwards from Bellatrix (γ Ori) is rarely imaged. In fact at the moment of the publishing of this image (January 11th 2013) we couldn’t find any other image of this region. 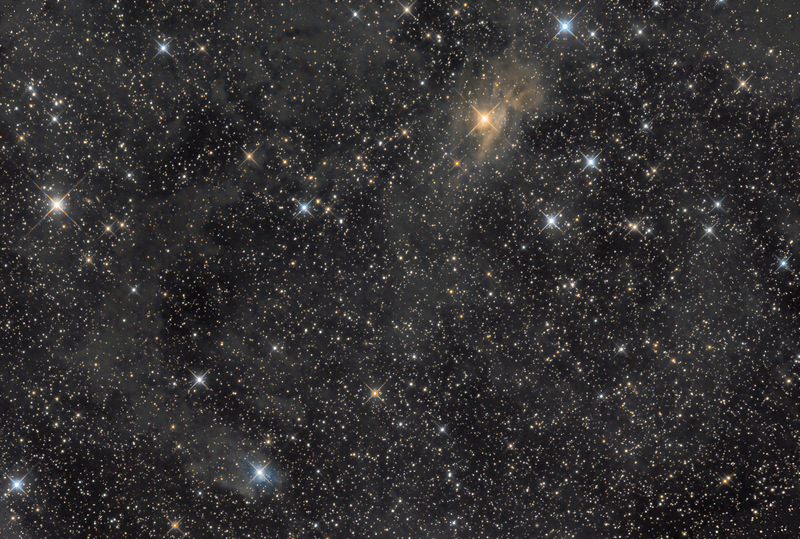 It includes two Van der Berg objects: the bluish VdB 35 (lower left) and the yellowish VdB 37 (upper right). Both are reflection nebulae.